90s superstars return with newly-recorded collection of songs for new record label. This week Multi-platinum Country band BlawkHawk releases the new compilation Greatest Hits & More on Loud & Proud Records. The 13-track set includes the number-one hits “Every Once In A While” and “I’m Not Strong Enough To Say No,” Top 10 singles including “Goodbye Says It All,” “I Sure Can Smell The Rain” and “That’s Just About Right” as well as two new songs “Brothers of the Southland” and “Brighter” from the band’s first studio release in 12 years, the 2014 album Brothers of the Southland, co-produced by Dale Oliver (Casting Crowns, Steven Curtis Chapman). 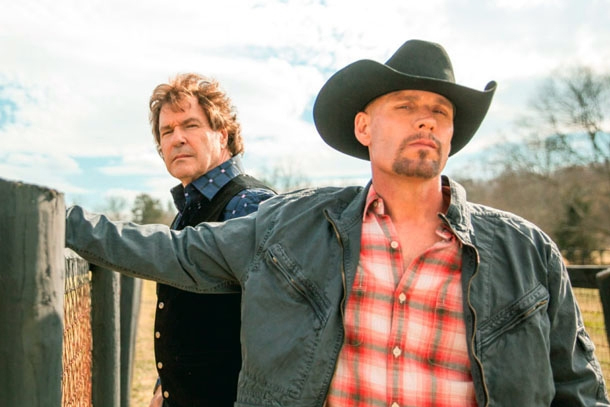 BlackHawk first exploded onto the Country Music scene in 1993 with their debut hit "Goodbye Says It All" and their double-platinum selling self-titled debut album. The band was then comprised of founding members Henry Paul (lead vocals, mandolin, acoustic guitar), Van Stephenson (background vocals, electric guitar. ), and Dave Robbins (background vocals, keyboards). Stephenson departed the group in 2000 in the midst of a battle with skin cancer, which tragically took his life the following year. Paul and Robbins established the Van Stephenson Memorial Cancer Research Fund in his memory, donating the proceeds of their efforts to the Vanderbilt Cancer Research Center. BlackHawk has kept up an active touring schedule throughout 2014, with dates scheduled on through the end of the year. The current list of dates can be viewed below, along with the track listing for Greatest Hits & More. Visit www.blackhawklive.com for more information.